Judging by the lack activity here over the last few days, I bet most of you are either stuffed to the gills with turkey and/or stuffing, or out braving the crowds, taking advantage of the varied and fruitful Black Monday deals. But the good news is I continue on. I expect (or perhaps hope is a better word) to complete my first draft by year’s end. I’ve set aside the actual writing until Monday. A much needed break, you know. But the cogitation continues, and just this afternoon while I was giving my daughter a bubble bath (aren’t these sparks of inspiration the craziest things?! ), I realized something profound and earth-shattering and completely cool about my MC. Helps me better understand how to construct my opening scenes, and I am armed with anticipation to go back and make all those wild first draft faux pas right. Toyin O. said, Thanks for sharing. I usually say thanks for sharing when I don't have a lot of opinion about what you just post. I don't think it means that I did not read your post, I can be thanking you for posting that video or for just sharing your post. Anyway, but I will keep that in mind and not comment on your blog. I apologize if I have offended you. Have a happy thanksgiving weekend. Joshua said, Well…I made it past the 40K mark last night, just barely at 11:55pm. I wasn't stuffed from Thanksgiving, but that's because I don't eat meat, so a scoop of mac and cheese, and some potatoes, and some bread, and that's full. Nice carbo-loading, too. This also explains why I wasn't by yesterday's post, since I was also at someone else's house. farawayeyes said, Ah, water the best muse around. Nice you were sharing it with someone else. Kids and bubbles are the best. Crossing 70k toady, working to finish the first draft by the 30th. Keep those tunes comin', Please. WilyBCool said, I grew up listening to the Scorps, saw them live in Belgium as a young man. It's amazing that such a small (he's short) body can produce such a large voice! Next year I'll have to participate in the NaNoWriMo, just not enough time this year. I gave you a particularly nice award because of your content. Come on over and check it out on my blog. Liza said, Congrats for crossing the finish line, err, I mean, the half way mark! mshatch said, no nano but still working hard revising one project while starting a new one. 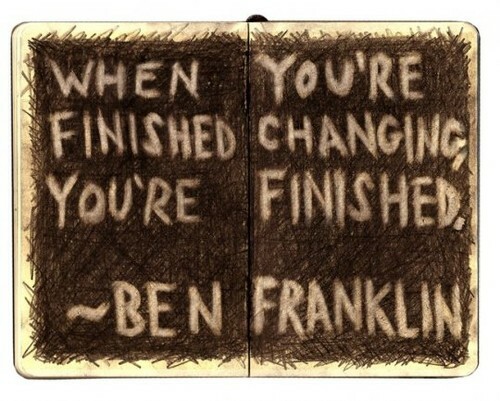 and I LOVE the Ben Franklin quote. so true.